Watching New Yorkers get caught not-yet-prepared to stop the shutdown of the subways and electrical grid due to the Sandy storm surge at high tide, and noting that the ridicule heaped by denialists on those who tried to warn us about such storms, I asked at Climate Sanity about updates on their rosy “What? Us worry?” view of climate change. 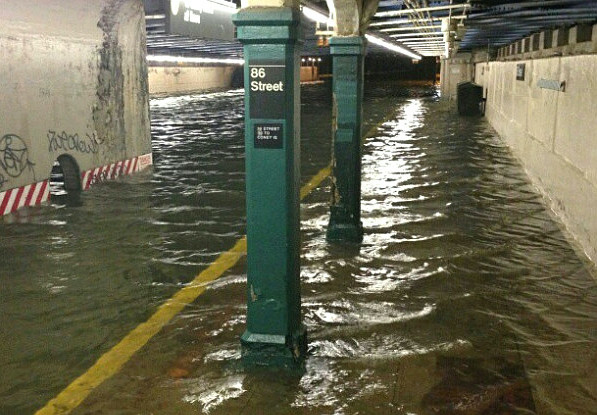 Photo of water in 86th Street Station in Brooklyn, NY, after Sandy – photo found at Naked Capitalism. Denialists could note that subway crime was significantly reduced at the time of this photo. It’s a classic example of how rabid advocacy for a disproven position can predict that the rabid advocate will not change her/his mind, at least publicly. 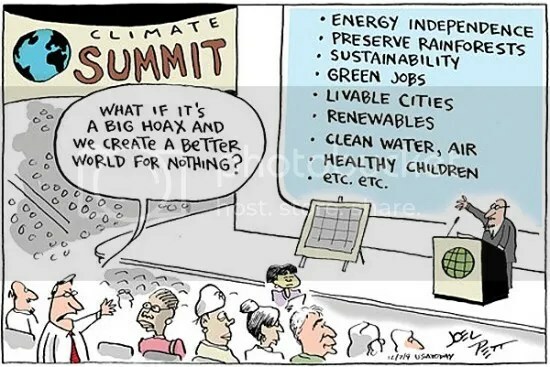 This entry was posted on Wednesday, November 28th, 2012 at 2:45 pm and is filed under Cartoons, Climate change, climate_change, denialism, Global warming, Political cartoons, Politics, Science. You can follow any responses to this entry through the RSS 2.0 feed. You can leave a response, or trackback from your own site.